Tapestry Restaurant and Chef Patiwat Chuenchom are proud to present Chinese Style Shrimp Ball Salad, one of Chef Chuenchom’s delicious signature dishes recommended during the month of July. 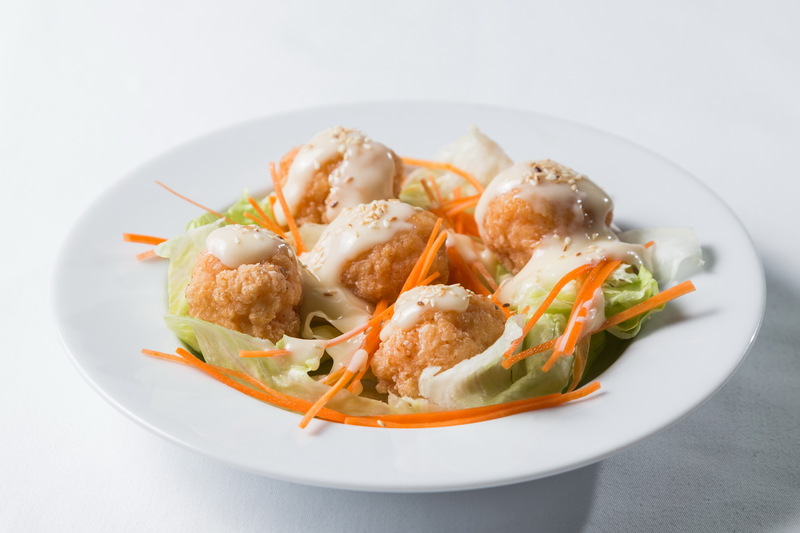 This dish features delectable shrimp balls mixed with mayonnaise and lettuce, and has a taste best described as a gentle mix of sweet and sour; and is spectacular when experienced with white wine or a light beer. Enjoy this scrumptious meal for only Baht 300 for small size serving and only Baht 500 for medium one..
วันที่ 2 กรกฎาคม 2558 เวลา 14:49 น.